Trump Administration Has Secret Committee to Trash Pot . The White House has created a multi-agency committee to combat rising public support for marijuana legalization and make legalization initiatives look bad, according to a report today in Buzzfeed News. The Marijuana Policy Coordination Committee has instructed federal agencies including the DEA to come up with and submit "data demonstrating the most significant negative trends" about marijuana and the "threat" in poses to the country. Reports from the committee will be used to brief Trump "on marijuana threats." 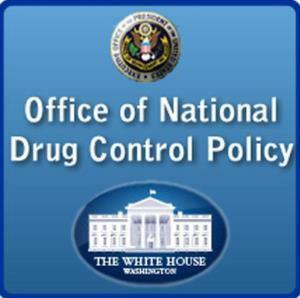 The committee is being coordinated by the White House Office of National Drug Control Policy (ONDCP -- the drug czar's office). New Jersey Attorney General Issues Guidance on Marijuana-Related Prosecutions . The Office of the Attorney General issued guidance to municipal prosecutors regarding prosecution of marijuana-related cases. This guidance comes after Attorney General Gurbir Grewal convened a working group on marijuana prosecutions earlier this summer. The guidance reaffirms that local prosecutors cannot decriminalize marijuana possession, but they can use their discretion on a case-by-case basis "based on the particular facts and applicable law, and consistent with their ethical obligations to the state, the defendants, and the courts." The guidance merely highlights the need for the state to actually pass marijuana legalization, advocates said. New York Assembly to Hold Public Hearings on Marijuana Legalization . The Assembly will hold four public hearings this fall on whether and how to legalize marijuana. These hearings will follow a well-attended hearing in the Assembly on the topic earlier this year. Gov. Andrew Cuomo (D) has recently embraced legalization, and a legalization bill is before the Assembly. Canada Approves First Roadside Drug Test Device for Marijuana . Justice Minister Jody Wilson-Raybould has approved a device designed to detect whether drivers are under the influence of marijuana. The device is the Drager Drug Test 5000, which allows police to check drivers' saliva for the presence of THC, as well as amphetamines, opioids, cocaine, and methadone. The device has plenty of critics, who say it is prone to false positives and false negatives. Officials will also have to determine what level of THC indicates impairment and whether the results will hold up in court.